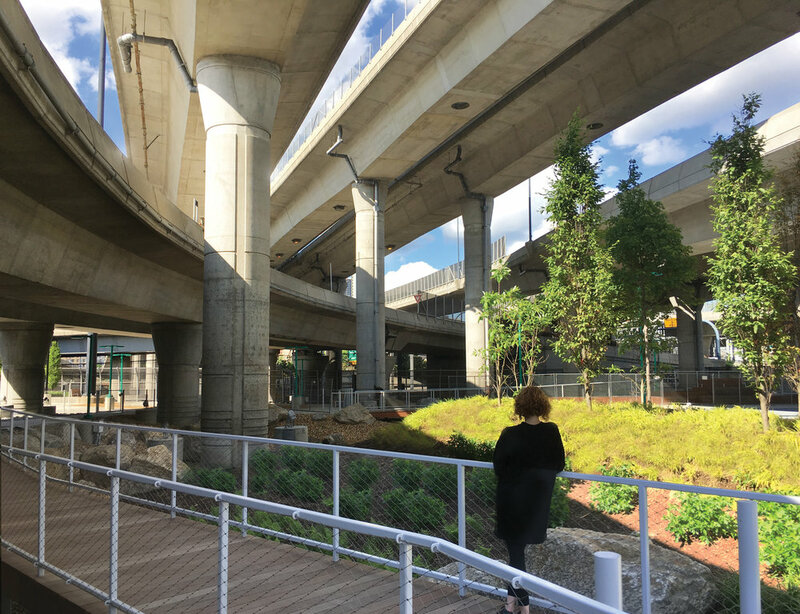 The Infra-Space program is a statewide initiative with the Massachusetts Department of Transportation to re-evaluate spaces under viaducts for better urban and ecological performance. 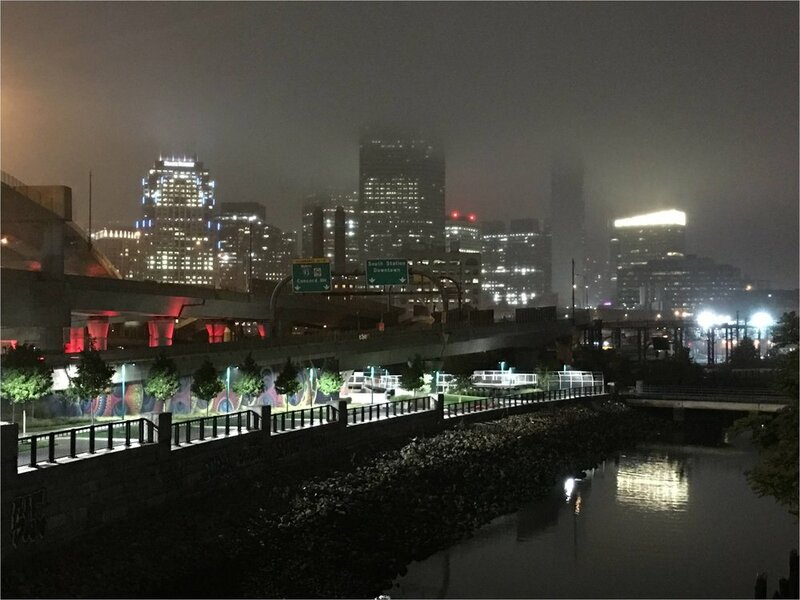 Infra-Space 1 is the pilot project, spanning nearly a half-mile in length through the middle of downtown Boston. 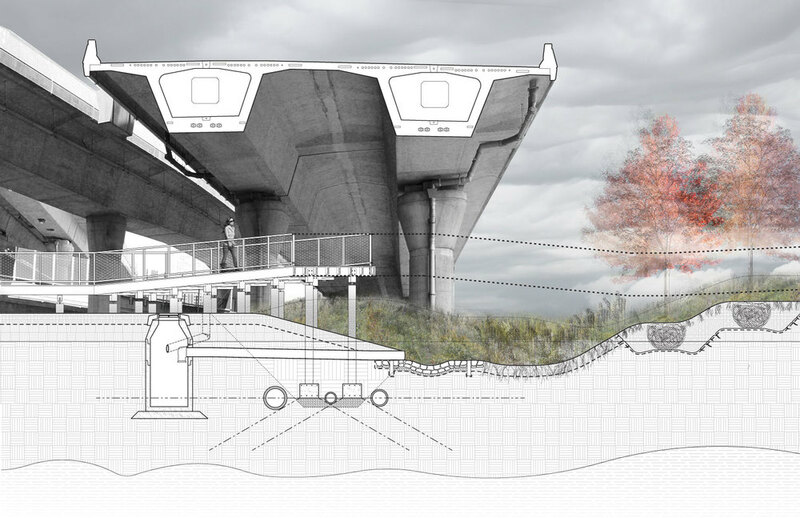 The project includes a stormwater management landscape that diverts the runoff from the viaduct, improved maintenance access, public recreation, and a series of scaffold structures that support operable lighting and art installations. 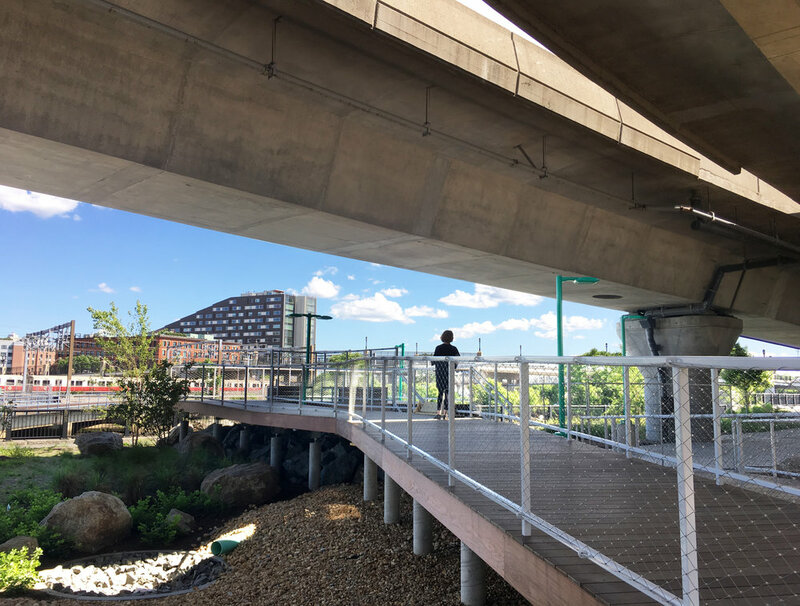 The project received 2019 AIA National Honor Award for Regional and Urban Design, a 2017 Waterfront Center Honor Award, a 2014 BSA Unbuilt Design Award, and a 2018 WalkBoston Golden Shoe Award.